Last week I went to the Hobbycraft Halloween and Christmas preview. There were so many lovely products to inspire me (and hopefully you too!). I can’t wait to get my hands on some of their new products and get crafting. 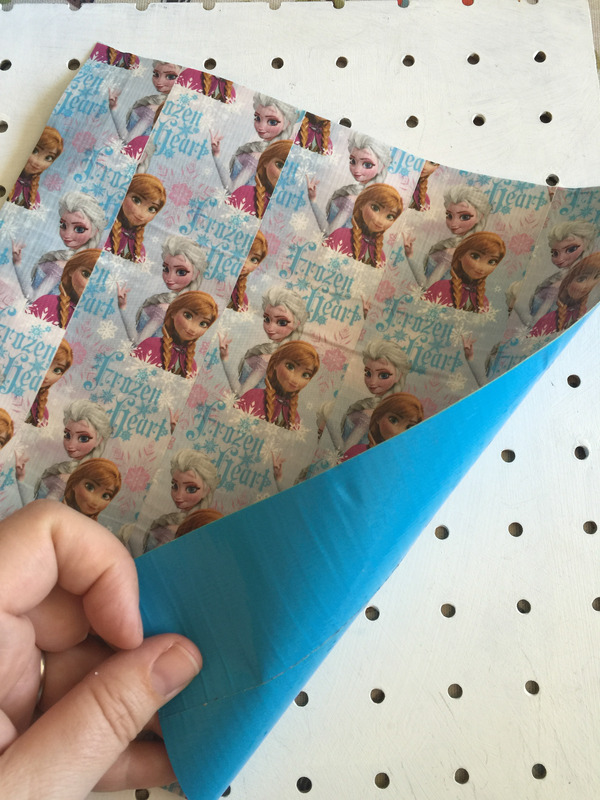 I was given a roll of the new Disney Frozen Duck Tape which will be available very soon. 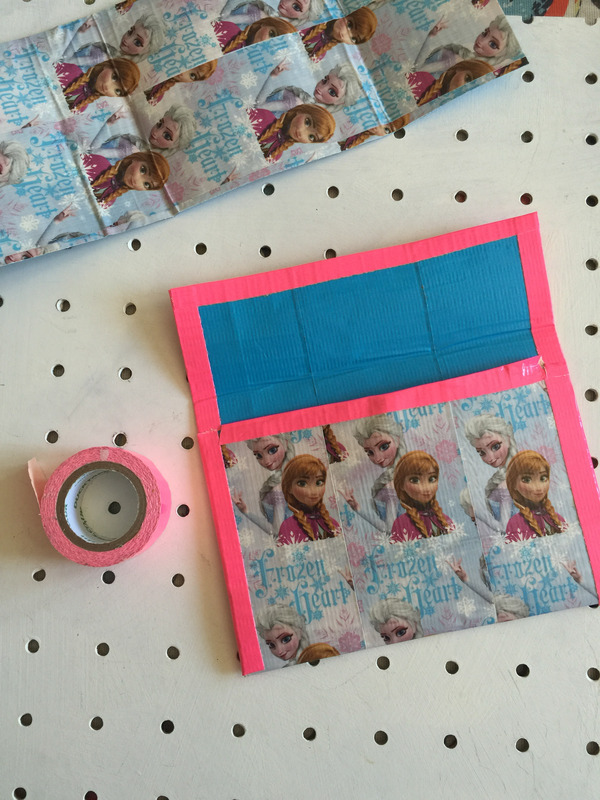 I knew I wanted to make something special with it so made a Frozen Duck Tape pocket money wallet for my daughter. She has just started receiving pocket money and I wanted her to have somewhere to keep her pennies. 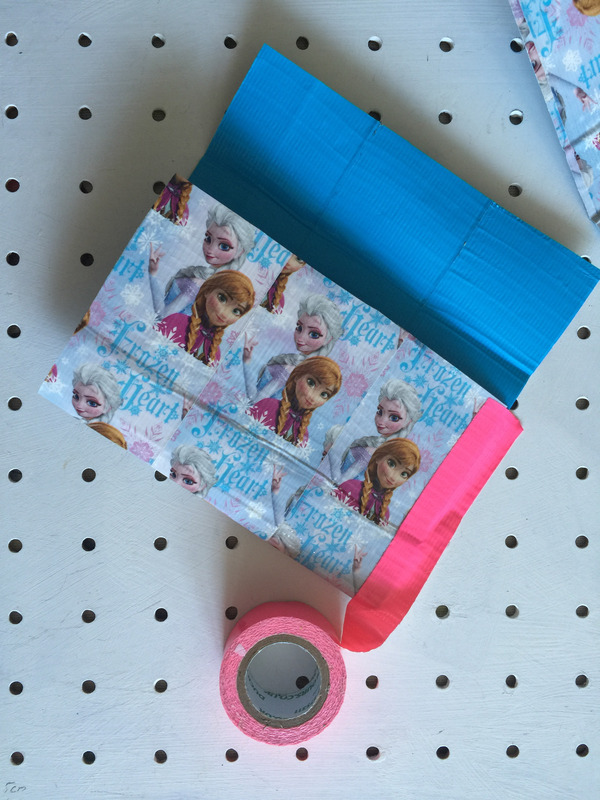 The new Disney Frozen Duck Tape features Anna and Elsa and lots of pretty colours. 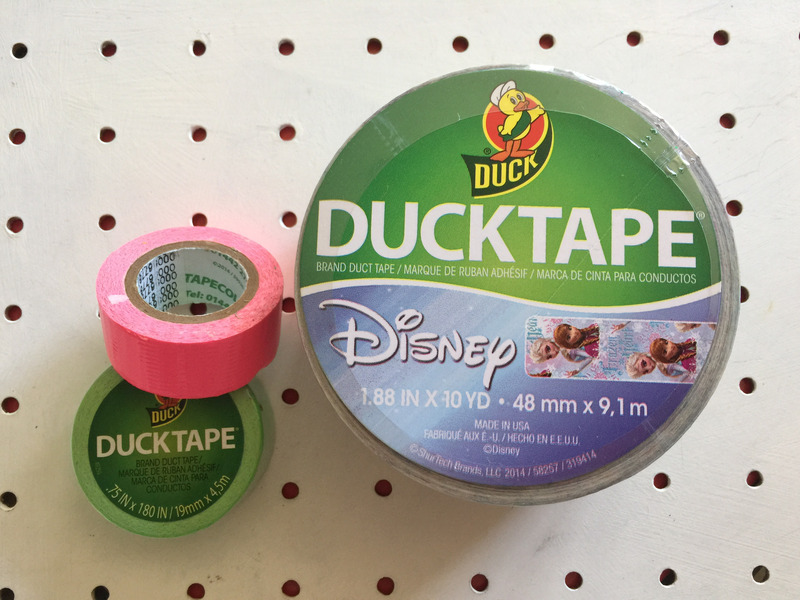 I wanted to use a contrasting colour for the inside so found a roll of Duck Tape in Aqua, and another roll of Mini Duck Tape in Pink for the edges. First I made a sheet of A4 Duck Tape by covering both sides in the Frozen Duck Tape and the other side in Aqua Duck Tape. I trimmed the edges to make sure there were no sticky bits. I cut my sheet into two so I could make two small wallets and put one piece to one side. 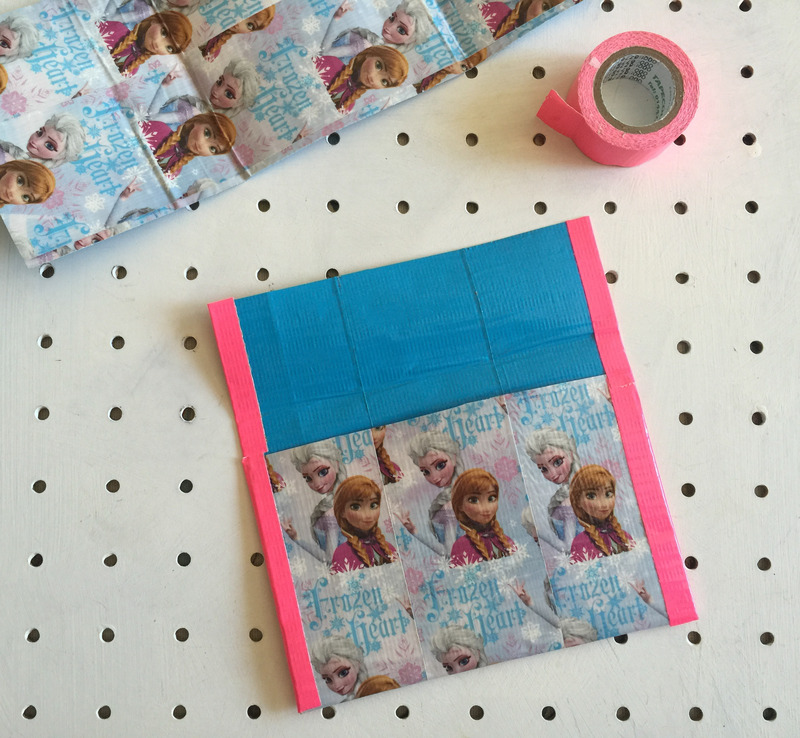 With the Frozen side underneath, fold the bottom third up and secure either side with a piece of the Mini Duck Tape. Fold the top third over and secure with another piece of Mini Duck Tape. Cover any remaining raw edges with more Mini Duck Tape. Add velcro dots to secure the wallet. I made another wallet with the remaining Duck Tape sheet. This one I reversed and kept the Frozen side inside. 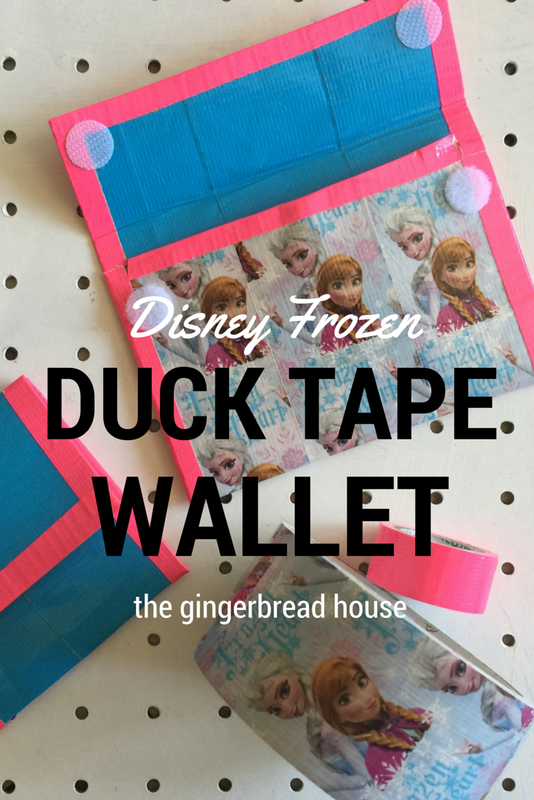 It’s a really cute pattern and I know my daughter will love using it for her pocket money. 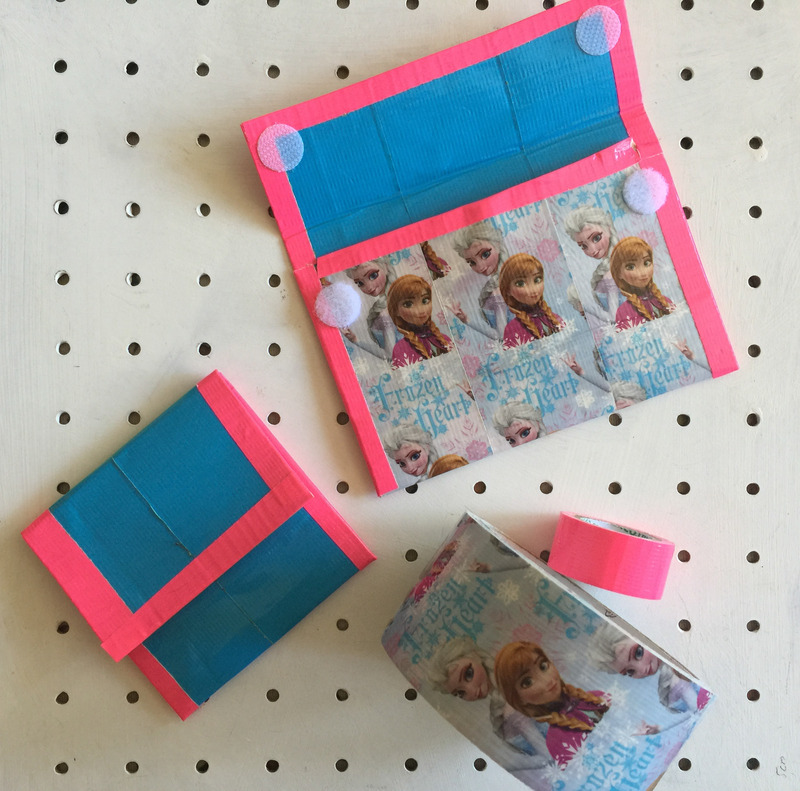 Fabulous, have been wanting to do this too, a great craft project for kids too! Thanks for sharing on craft schooling Sunday!